Plant Engineering and Marketing and Sales. remaplan GmbH had been a specialist in manufacturing products for the garden made of recycled plastic material. The main products had been compost bins and pallets. Sales moved to Unterhaching, a small town in the South of Munich. When getting independent remaplan GmbH could concentrate itself on selling to the large DIY markets in Germany. At the beginning of remaplan GmbH the German Communities had been the main customers. 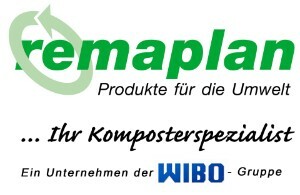 Now, at the end of 2010, remaplan GmbH is a well known seller for compost bins in Germany and also in Europe. compost bin with a capacity of 800 l. Every compost bin is made in our own factory in Meitingen/Germany. supply more and more private households with compost bins. When do you buy a compost bin of remaplan GmbH?